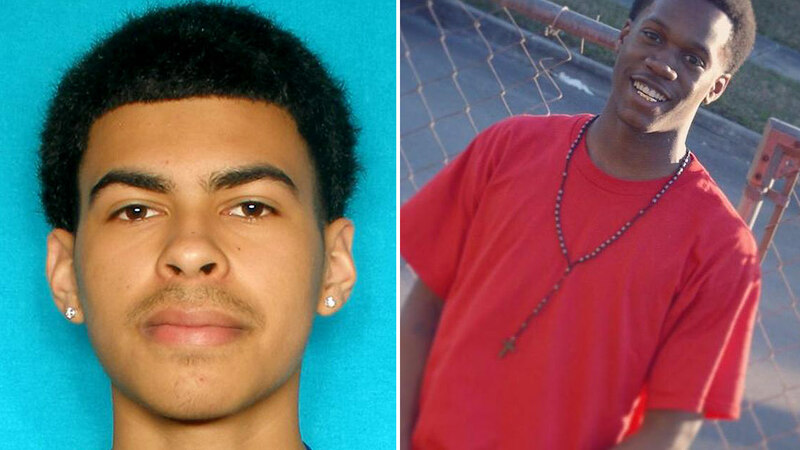 BAYTOWN, TX (KTRK) -- Baytown police have named a person of interest in their search for two missing Baytown teens. Investigators are asking for the public's help to find Brandon Alejandro Flores, 20, as they continue to search for Jarvis Morgan and Alex Chavez. According to investigators, Flores was the last person to talk to the two missing teens. Jarvis is 5'8" tall, weighs 140 pounds, has short black hair and brown eyes, and was last seen wearing a red hooded sweater over a black shirt, red shorts and red shoes. Alejandro is 5'10" tall, weighs 170 pounds, has short black hair and brown eyes, and was last seen wearing a black polo shirt and camouflage shorts. Relatives believe the two were headed to an apartment complex in a high crime area. Jack Boggess with Texas Equusearch said, "Right now it's just a mystery. We're trying to help the family and the police." Family members have also told police they believe a female may have lured them here for some reason. Community activist Quanell X said, "These young men did not come in here and disappear off the face of the earth for no reason. We believe foul play is involved." Baytown police say they have not verified that. The car the two close friends were last seen in was found Monday morning. Police say the 2013 black Nissan Altima was found near the Fred Hartman Bridge and Marina Bay Apartments. The teens were nowhere near the area. The family and Equusearch will continue searching for the teens Saturday. Anyone with any information on Flores' whereabouts is asked to contact Baytown police at 281-422-8371 or Baytown Crime Stoppers 281-427-TIPS(8477).